The Flowmaster is purpose built for applying various types of liquid preservative additives to all types of crops. Including bacterial inoculants and propionic (propcorn) type acids. The Flowmaster is designed to fit in a 200 litre barrel, but can also be used in IBCs. and for smaller containers a short reach option can be made to special order. The Flowmaster is suited to all types of forage harvester self-propelled or trailed, forage wagons and balers. 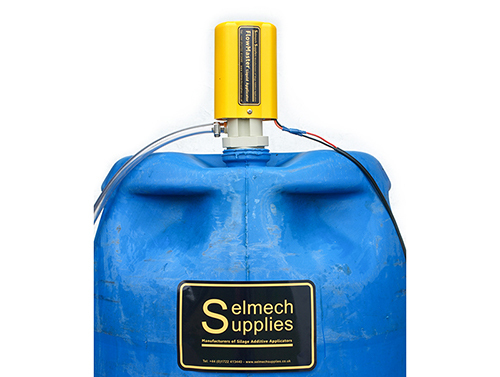 Selmech’s own in cab variable speed controller enables the operator to set the out put of the pump easily and make manual adjustments for varying crop densities.